called iTQQ. IPTV (Internet Protocol Television) is moving ahead relatively quickly in Japan, South Korea, and especially in Hong Kong. 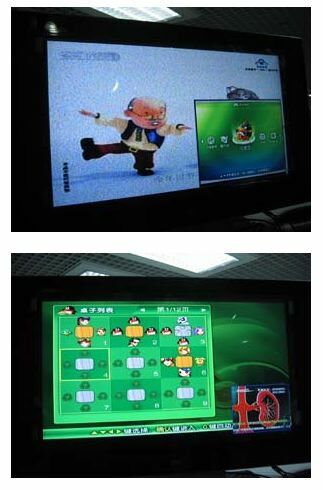 It is already available to some Chinese urban residents via pilots such as the one that brought IPTV into the tiny one room apartment of a migrant worker family I interviewed in Shenzhen in 2006. No-one in the family had ever been online, nor did they have much of a sense of what that even meant (aside from a vague idea that their son would have to learn about it to get a job in the future). Nevertheless, they were learning to navigate an interactive screen via the familiar remote control and a new set-top box that had been installed in their apartment by their landlord, for which they were paying a monthly fee. It may be that for many ordinary urban Chinese, virtual China will be experienced in the coming decade not through the PC at home, work, or Internet cafe, not even through the phone–but through the ubiquitous television, so beloved by most Chinese families. program and internet value-add service . very impressed ! iTTQ: IM and IpTV at It’s Best!